Massage at work? Yes, it really works. Did you know…job stress and related aliments are estimated to cost business more than $200 billion annually with $26 billion spent on medical and disability payments and $95 billion in productivity loss annually. Our on-site chair massage therapy program promotes health and wellness, prevents injury, and reduces stress for employees and management. We design our customized chair massage programs exclusively for the corporate world. That means all we need is a quiet room on-site. Clients remain fully clothed and we don’t use oils, which can stain clothing. We offer massage in 10, 15 or 20-minute increments to fit within standard break and lunch times. 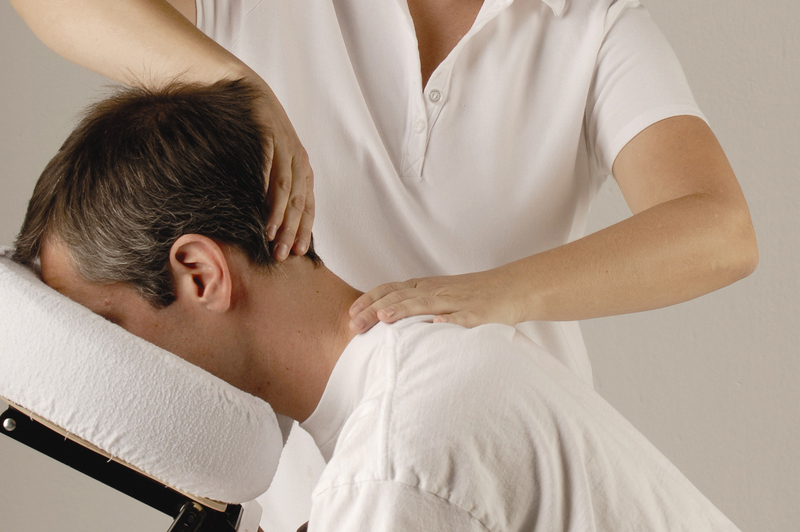 Our therapist massages the client’s upper body, including the head, neck, shoulders, back, arm and hands. You’ll be amazed at what a healthy transformation even ten minutes a week makes, when it’s done on a consistent basis. Employees experience an immediate and lasting sense of physical and mental well-being and what’s just for starters. Reduce the adverse effects of staying in one position too long. Identify tender areas that need attention before becoming serious problems. Rev up brainpower by increasing blood flow. Relieve physical and mental strain. Motivate employees to take better care of their health. We work quietly and efficiently to avoid any interruption to the office workflow. Our massage therapists are always insured and licensed, according to Massachusetts state regulations. *Extended appointment times can be arranged at the client’s request. Pick a payment option that best suits your company! The Employee Paid option is where employees pay the amount of the massage. This is easily achieved by a payroll deduction which is a tax write off for the employee. TL Massage Therapy will bill the company for employee deductions. The Employer Paid option is where TL Massage Therapy bills your company the full amount. This service is also a tax write-off for the employer. We customize every program to fit each client’s needs. Rates are based on those needs and the number of employees using our services. A minimum of 2-hours is required. However, those with multiple locations schedules can be worked out. Subscribe to view our latest updates, specials, events and more! Thank you for subscribing to our newsletter. You will hear from us shortly!